What helped me prepare was the positive attitude that I’ll wake up and feel a whole lot better. No longer would my wife have to lift the packages or empty the car, or walk the long walk of hospital corridors in the middle of the night, The other side of surgery gives you your life back with no limitations. I’ve scuba dived on the Great Barrier Reef and ran a 1/2 Ironman in Miami. No days lost to bleeding, pain, stomach upset. I also had a positive attitude going into the surgery (ileostomy). I felt that I had tried all avenues before surgery and was at the correct decision. My husband and son went with me to my pre-surgery appointments and asked questions that I didn’t think of. They were very supportive. I woke up from surgery happy to be starting a new life after years of severe colitis which limited everything I did. I walked as much as I could while in the hospital. I went back to work wIthin 6 weeks and started golfing right after that. I ride a bike and work out at the gym. I am 71 and am happy to have a normal life now. I wish I had known to talk to someone before surgery about preventing hernias and weight gain so that I had control of that immediately after surgery. I wouldn’t sweat the supplies. If you’re going to a reasonably large hospital, the nurses (or hospitalists) there will send you home with some supplies. In my case (albeit in New York City) the hospitalist called the supply company of my choice and ordered them for me. 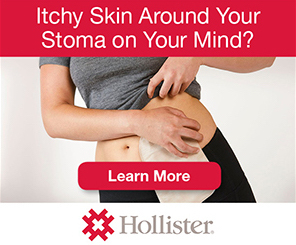 Ostomy nurses know that this is new to you. They’ll help with the supplies. That’s not something you need to confront right away. Good luck. I’ve had an ileostomy for 38 years. I’ve taught five, sometimes six, days a week, traveled (Russia, Switzerland, Italy, UK, Greece) and gardened. It’s all possible. The ostomy is a minor inconvenience compared with the horrors of bowel disease. Good luck! I’ve followed your posts for some time. Happy for you and the challenges you faced head on. Many people will thank you for being a wonderful advocate and inspiration for what is possible with health and happiness. I’m about to have surgery in August and this was a timely and helpful post to stumble on at just the right moment. Thank you! Stephanie, what a refreshing gift your blog is to so many. Thank you for your vulnerability in sharing your story so that others can see that living with an ileostomy is a just a step into better health and a better life.